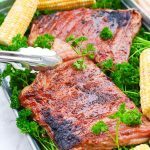 This Cayenne Sugar Rib recipe rubs cayenne pepper, garlic, and brown sugars together for a light sweet and spicy glaze on top of deliciously grilled pork ribs. 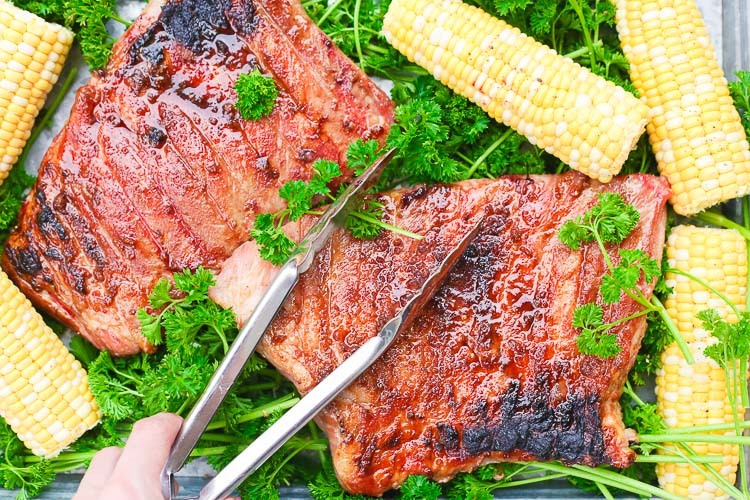 This is an easy way to enjoy juicy ribs all spring and summer long! I don’t know about y’all but I have always been intimidated by cooking ribs. I’ve never tried too hard at it because I figured there was no way I could cook them properly. ya know since it’s getting warmer out and everything needs to be grilled until…… umm October-ish, I figured I should give this one a try. It turns out that it’s easy it is to grill ribs. I concocted my own sweet and spicy rub that quickly turned into the most amazingly gooey glaze before I put my Smithfield Extra Tender Pork St Louis Style Ribs from Walmart on some warm charcoal coals. Grab yours too with this ibotta coupon above! Then I let the cayenne sugar ribs cook on the grill for 1.5-2 hours, flipping every once in awhile, then removing them from the grill and letting them rest for 5 minutes before devouring. 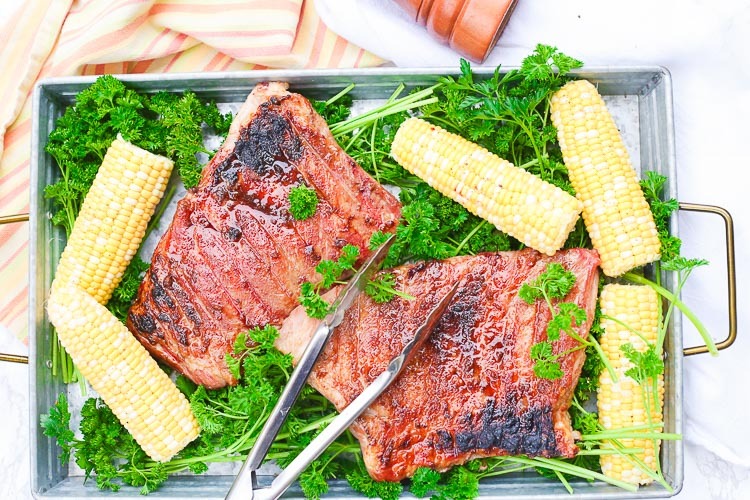 Smithfield Extra Tender Pork St Louis Style Ribs are perfect any night on the grill, whether a great weeknight meal or getting together to barbecue with family and friends. Everytime I make this recipe the ribs turn out perfectly, tender and juicy. 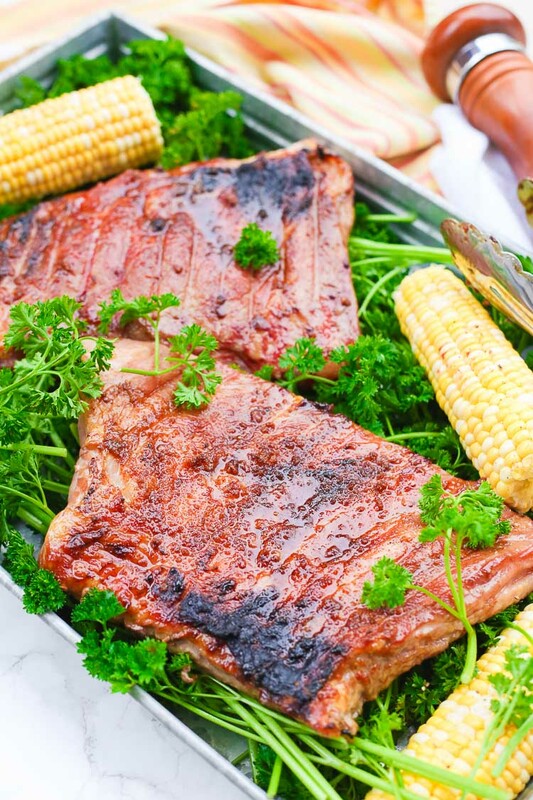 These ribs are hand-trimmed, extra-tender and juicy. 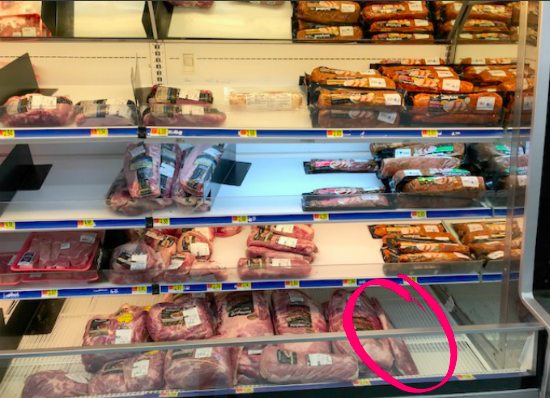 It’s easy to find them when shopping for all your other groceries. And who doesn’t need another excuse to make more food on the grill?!? So let’s just all agree to go get some…. like today. 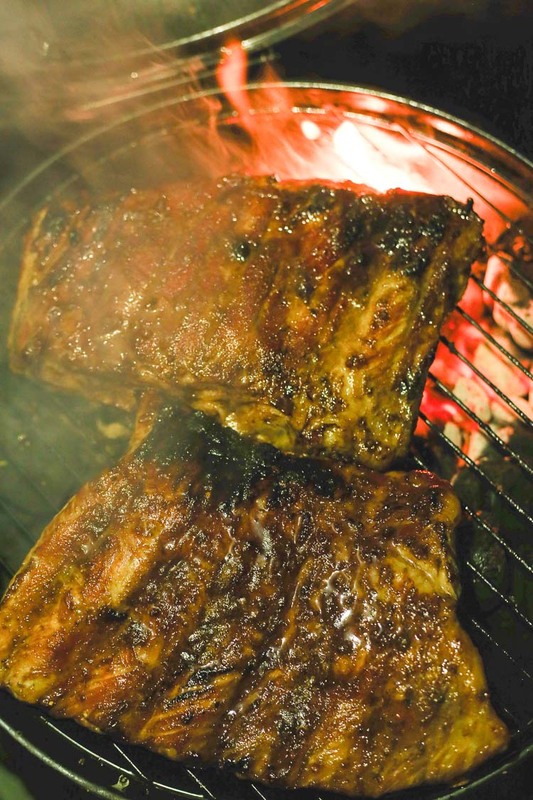 Championship Pitmasters use Smithfield Fresh Pork in their competitions and on their backyard grill; because they know when the quality of the meat matters most which is why they use Smithfield Fresh Pork. Cut your ribs in half for easier handling. Heat your charcoal grill to a medium heat. 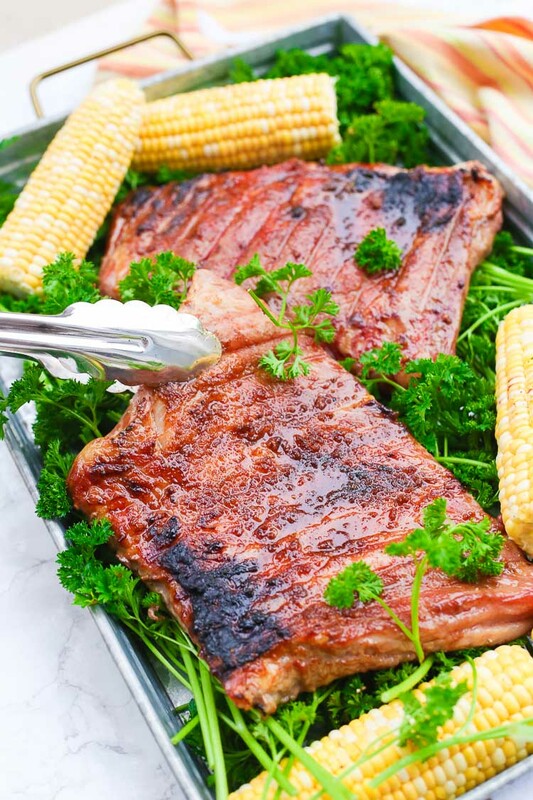 Place the sections of ribs on the grill over indirect heat for 1.5-2 hours or until the internal temperature reaches 150*F. Remove from the grill for 5 minutes before serving. Enjoy! 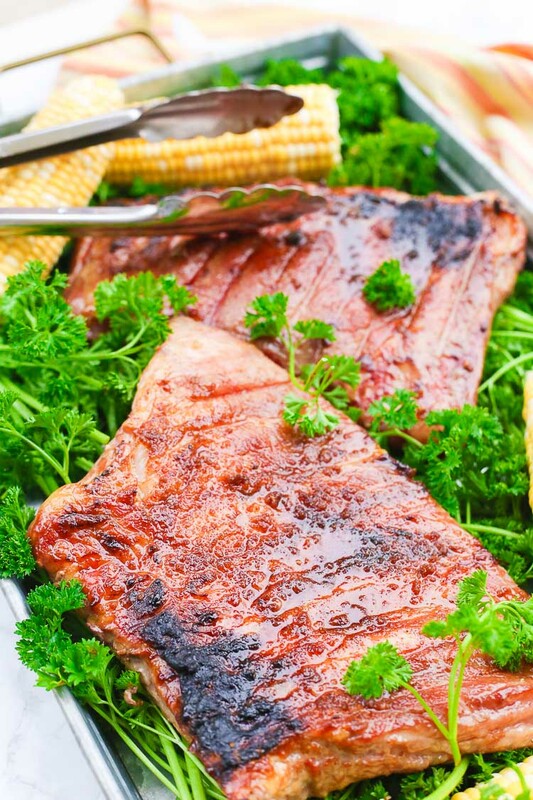 You will likely need to flip the ribs a few times during the grilling process. While you are flipping the ribs feel free to rub more of the reserved rub on them. 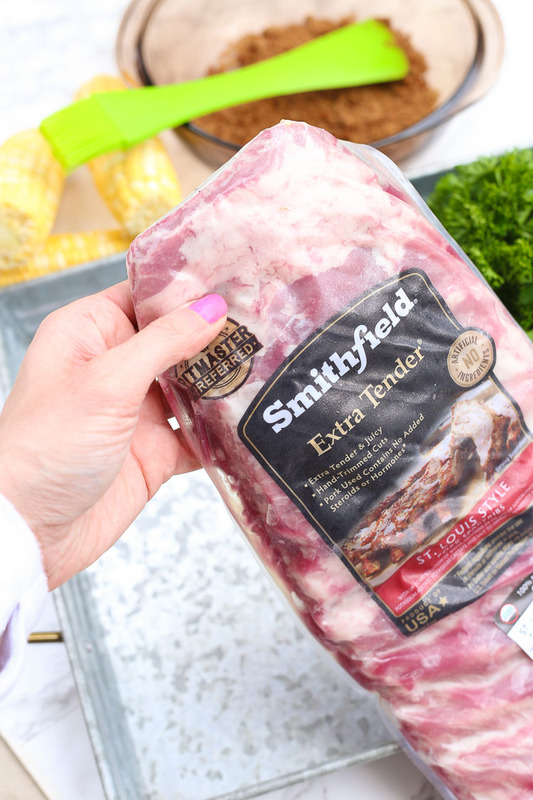 I partnered with Smithfield®, a brand I personally recommend to friends and family for this post. Thank you for continuing to support me, BHHY, and the brands that help make this site possible.